We believe birth is profound. We believe new life is sacred. We Believe in listening to women. birth journey safely, supported, and empowered. 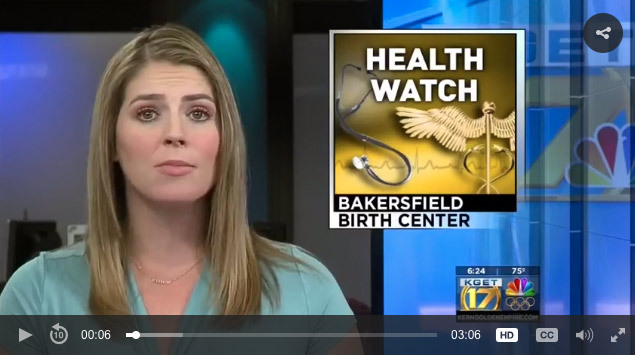 Justine Backhaus, LM, CPM, IBCLC, is the clinical director and founder of the Bakersfield Birth Center. Justine’s vision is to provide women and their families the opportunity to experience pregnancy, birth and the post-natal period in a safe, and mother-baby friendly environment. The Bakersfield Birth Center was designed to do just that. Whether you opt to have your baby in our beautiful, state-of-the-art birthing center or want to explore your other natural birthing options – including home birth and water birth experiences – our experienced midwife is happy to consult, and provide you with information to assist you in your decision making process. The Midwives Model of Care© was created by the Midwifery Taskforce Inc., in 1996 as a collaborative effort between the Midwives Alliance of North America (MANA), the North American Registry of Midwives (NARM), the Midwifery Education Accreditation Council (MEAC) and Citizens for Midwifery (CfM). It was inspired as a response to the fact that most mainstream medical doctors had no idea what midwifery care really meant, and – therefore – felt it was an unsafe practice. As a result, the Midwifery Taskforce Inc., created a universal definition of what it means to provide – and receive – The Midwives Model of Care. Have you always wanted to labor in peace? Sans fluorescent lighting, a rotating regimen of nurses and/or doctors and in the manner and positions in which you are most comfortable? Are you curious about your options for out-of-hospital birth? If you are a healthy, low-risk woman you may be a perfect candidate for a birth center or home birth experience, assisted by our licensed midwife, Justine Backhaus. Whether you’re choosing to have a natural birth, a midwife-assisted water birth at home, or a water birth at our beautiful freestanding birth center, our Evidence Page will assist you in finding data that supports your decision to birth un-medicated and out-of-hospital. It is reassuring that your intuitive feelings about where and how to birth your baby are actually supported by the evidence. Lancaster, Pear Blossom and Palmdale. Women who choose Justine as their midwife have the option of a Birth Center, or Home Birth. You can also choose to have midwife labor support at the hospital of your choice.